Plantar Fasciitis Archives - Healing Feet - NYC Podiatrist & Foot Doctor. About 58% of Americans have suffered heel pain any given year, according to a survey conducted by the American Podiatric Medical Association. It could be the natural effects of aging, repetitive strain, the wrong shoes, or a combination of factors. In our NYC podiatry practice, we routinely diagnose and treat three common culprits responsible for nagging heel pain. The difference in seeing a foot and ankle specialist is that—unlike a primary care doctor—we’re interested in treating the root cause of your trouble to banish foot pain for good, rather than simply prescribing a drug to mask the symptoms. Which Is the Best Treatment for Plantar Fasciitis: Laser, Ultrasound, or Shockwave Therapy? The lifetime incidence for developing chronic heel pain (plantar fasciitis) is roughly 10 percent in America. If you’re one of the many people suffering from sharp, shooting pains first thing in the morning and terrible aches following periods of standing or inactivity in New York City, stop by The Center for Podiatric Care and Sports Medicine for the best treatment for plantar fasciitis. We offer multiple modes of advanced treatment you won’t find elsewhere, including laser, ultrasound, and shockwave therapy. You may be wondering: Which of these high-tech solutions is most effective? A study recently published in the Journal of Foot & Ankle Surgery sheds some light on the subject. Plantar fasciitis is one of the most common conditions we treat at The Center for Podiatric Care and Sports Medicine. Nationwide, arch and heel pain account for up to 15% of all podiatrist visits—that’s 1 million Americans suffering from the condition. This type of pain is striking in that it tends to afflict patients worst after a night of sleeping or period of rest. In recent years, we’ve grown to understand this condition much better. It’s not just a matter of chronic inflammation—but rather, degenerative changes to the fascia that cannot be ignored. Here in the office, we employ a number of high-tech treatments for plantar fasciitis that work tremendously. Do You Need NYC Foot Surgery to Treat Bone Spurs Resulting From Plantar Fasciitis? Plantar fasciitis is a common condition that affects 2 million Americans. An estimated 1 in 10 sufferers have heel spurs, which are bony calcium deposits on the underside of the bone. It’s a common misconception that the “spur” itself is what causes the pain. 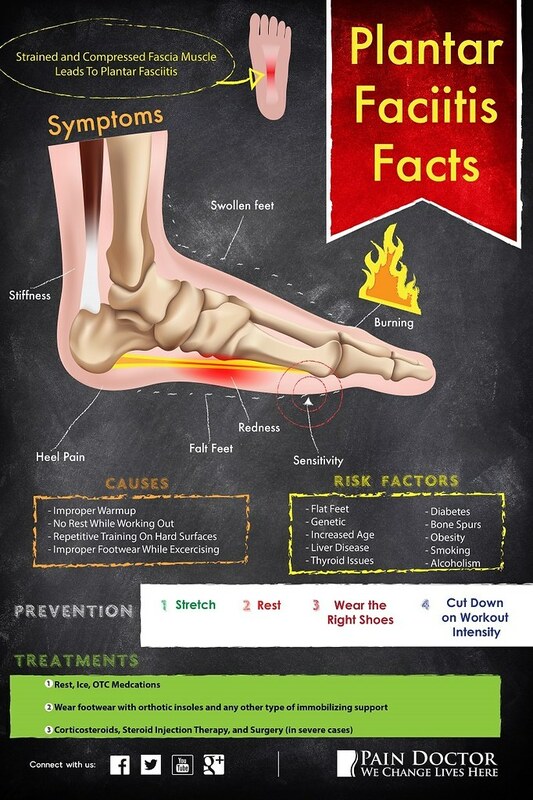 In reality, only 5% of the people with heel spurs experience foot pain. Heel spurs generally develop in response to trauma like foot muscle strains, ligament tears, plantar fascia overstretching, and repeat tearing of the heel membrane. Athletes who do a lot of running and jumping are especially prone to plantar fasciitis and heel spurs. We most commonly see the condition in runners who have flat, overpronating feet, with tight Achilles tendons and calves. Our doctors at The Center For Podiatric Care and Sports Medicine say NYC foot surgery is rarely needed to treat this condition. Good news! Surgery is rarely the answer for plantar fasciitis and bone spurs. Image Source: Flickr user sixteen05design. Looking for a plantar fasciitis treatment that’s on the cutting edge of science? Wonder how professional athletes rebound from chronic pain and get back into the game so fast? AmnioFix® by MiMedx is a NYC sports medicine doctor’s “secret weapon.” We offer this revolutionary product to patients at our White Plains and Manhattan offices, particularly those who are experiencing slow healing of the plantar fascia tissue. The decision to undergo surgery is one of the most difficult choices a person has to make. We do not take NYC foot surgery lightly. Our clients are busy and can’t afford the downtime. Whenever possible, we look into conservative measures that resolve pain and restore functionality. Chronic tendon pain has been fairly misunderstood in the scientific community until the last 5-10 years, according to Josef Geldwert, a board-certified Doctor of Podiatric Medicine in New York City. Previously, all tendon issues were categorized as “tendonitis,” which implies inflammation and is treated with cortisone shots, rest, ice, and sometimes physical therapy. Some patients healed during this treatment, but many continued to suffer from chronic tendon troubles. Often, these patients would go on to have surgical debridement, which fixed the problem but resulted in long recovery times. The TENEX procedure can work wonders for patients who have torn or degenerated tendons causing severe pain and disability, and it’s available right here at your local New York City podiatrist office. Tendon pain is no match for the TENEX procedure. Image Source: Wikimedia user Rotatebot. Plantar fasciitis is a bit like parenting—just because it affects a lot of people doesn’t mean it’s easy. The Oakland Raiders’ Amari Cooper was nearly shut down for his rookie season by a bad case of chronic heel pain. 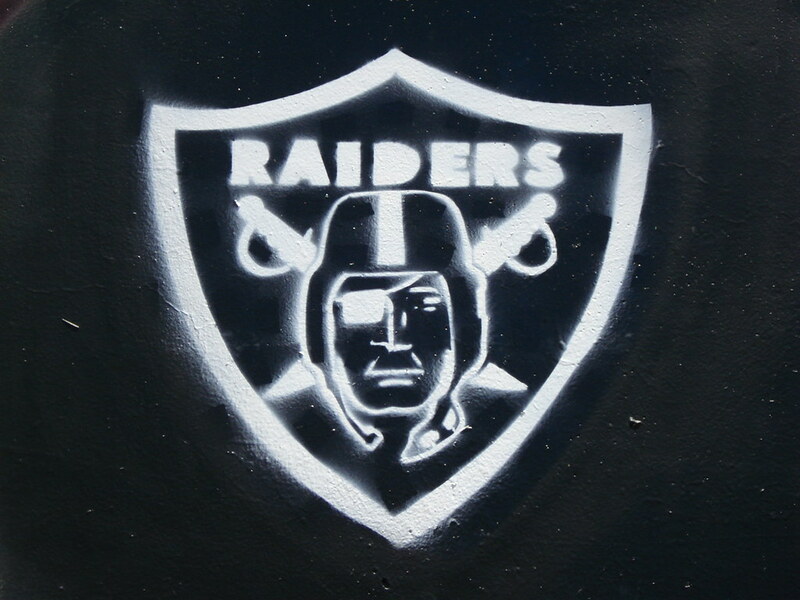 Though he was able to reach 1,000 receiving yards, he told KGMZ San Francisco,”I really wasn’t myself. I think it affected my whole game.” NY podiatrists describe how Amari Cooper’s foot condition affected his performance, how it may have been treated, and how you can obtain similar care in the New York City region. Amari Cooper and Derek Carr are back to being a dynamic duo for the Raiders this season after plantar fasciitis took Cooper out last year. Image Source: Flickr user A Syn. Our NY foot doctors have worked with the Central Park Track Club, the NY Road Runners, and ultra-marathon runners training for the NYC Tri, Hamptons Marathon, and U.S. Olympic Trials. Avid runners are no strangers to foot pain. A lot of them limp into our Manhattan office nervously asking, “Do I have plantar fasciitis?” They know this diagnosis would be dreadful because it’s a niggling ache to shake. Many of them walk out surprised that the root cause of their heel and arch pain is something else entirely. There is a lot more to the heel than the plantar fascia, according to the best foot doctors NYC has to offer. Image Source: Wikimedia user Haabet.